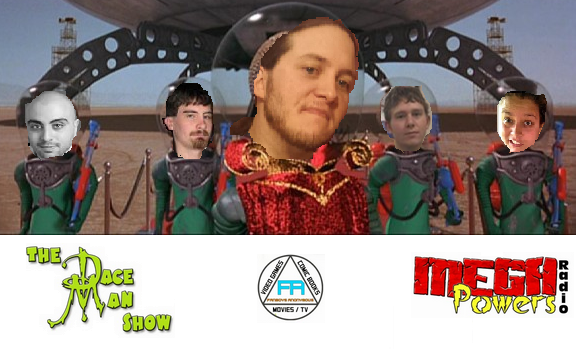 The Dace Man Show Ep 30 - Oh, Amou Haji! Check out Episode 30 of The Dace Man Show live from the Nation's Capital with regulars Dace and Gibby as well as the returns of Frank Ward, Nikki Mills, Travis Goss, and London himself Michael Burhan!!! The NFL Playoffs heat up and we've got the touchdown…see what I did there? Current NHL Leaders…It's not maple syrup, I'm being told. The Los Angeles Dodgers and Clayton Kershaw have agreed on a seven-year, $215 million deal. Let's see if we can get through this with all staff on deck. Trace Adkins falls off the wagon and beats the beejeezus out of a Trace Adkins Impersonator. US military launches an investigation after a pictures from 2004 surface of marines burning the bodies of Iraqi insurgents. Kanye West beats up an 18-year-old after a racial slur as Kim K. watched. Gov. Chris Christie comes under fire for bridge closure. Beiber's house gets raided. Lil Za busted for cocaine. Plus the High Five: Top 5 Tourist Attractions and The Douche Bag of The Week. All that and more, only on The Dace Man Show! Step onto the crazy train with Chris "The Dace Man" Dace and crew only on The Dace Man Show…cue the "Final Countdown"!! !